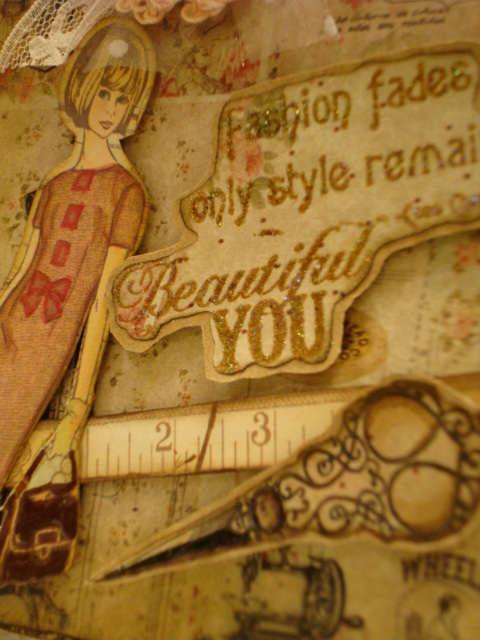 I wanted to make a vintagey card today with bit of a sewing flair to it. So here is what I came up with. The digital background paper is called "Stitched with Love" from iralamijashop on etsy. I cut out the lady image from Crafty Secrets "Sew Nice" Creative Scraps. 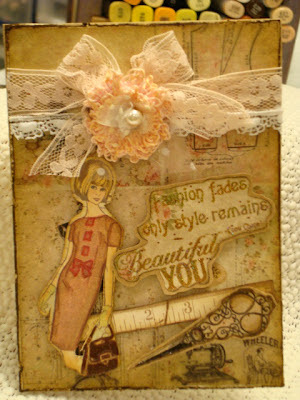 The sentiments are stamps from my collection. 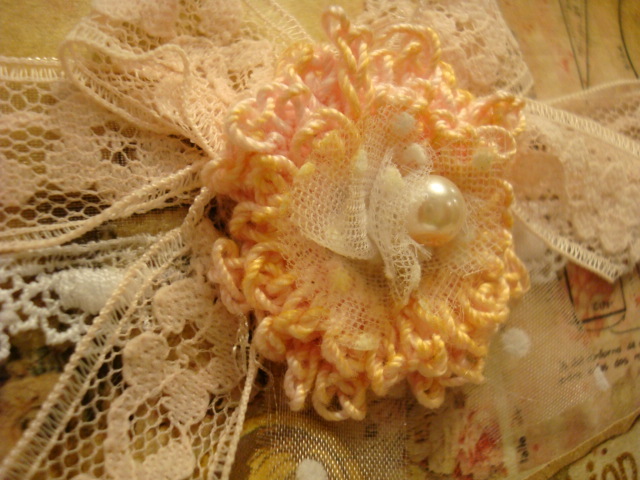 The lace and flowers are made from my stash of goodies!